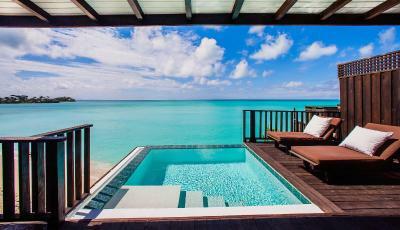 Lock in a great price for Cocos Hotel Antigua - All Inclusive - Adults Only – rated 8.4 by recent guests! 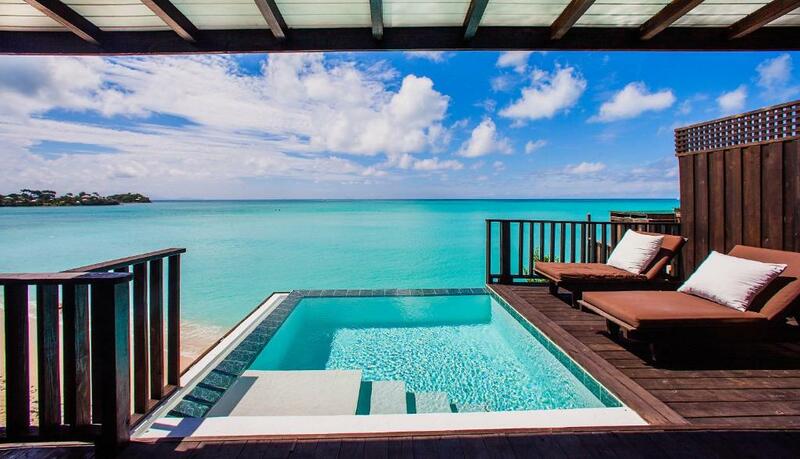 Cocos hotel Antigua exceeded my expectations. The beauty of the island, the people, food, culture, beaches and views will definitely bring me back, I would highly recommend people visiting, it’s not too crowded with tourists, the people are extremely nice and again the island has some amazing views. The room view, beach, And lucinda and kerry ann were very sweet! The resort was amazing it was private and beautiful. However, what made the stay over the top was the staff. From the moment we arrived every staff member was kind and friendly. There was not a day where we saw a single staff member be rude to anyone. They would literally give you the shirt off of their backs if it made you happy. I cannot speak highly enough of Steven and Robert the bar tenders on the smaller beach. These young men were extremely friendly each and everyday. They would run up one side and down the other for any guests request. Just to ensure our stay was extra special. Fabulous location and wonderful views, staff are friendly and attentive. Great all inclusive food (a la carte). Amazing eco resort with spacious and private cottages. Hummingbirds everywhere. A holiday location to relax, unwind and enjoy the tranquillity and ambiance of a truly magical place for a holiday. I also liked that many of the guests would chat together in the evenings and many were serial repeat guests. Entertainment in the evening had us dancing and partying like we were teenagers again! Highly recommend one of the best holidays and locations we have stayed. The area of cottages and the location between two beautiful beaches is excellent. The outside shower is great (mind the numerous mosquitoes though), although it can rain down on you if you are unlucky and get bad weather. The food is tasty and different every day. More local cuisine would be appreciated instead of boring Italian pasta or sad English breakfast. The bar cocktails are tasty and can be very boozy. Staff are very nice, respectful and helpful. The Restaurant, The restaurant staff were very friendly with excellent service, great food and the house wines were a selection of red, white and rose that changed daily. Excellent bedroom - really comfortable bed. The staff were excellent - attentive and friendly. Beach beds also comfortable and beach bar service great. Food was very good in comfortable restaurant. 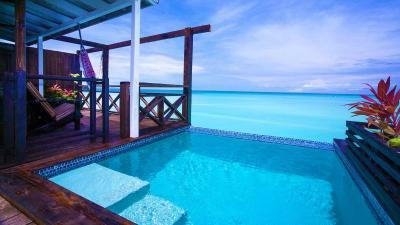 Cocos Hotel Antigua - All Inclusive - Adults Only This rating is a reflection of how the property compares to the industry standard when it comes to price, facilities and services available. It's based on a self-evaluation by the property. Use this rating to help choose your stay! Built between two beaches overlooking the beautiful Caribbean Sea, Cocos Hotel All Inclusive offers spa and massages services and free Wi-Fi in all areas. The property is set on Jolly Beach and Jolly Harbor. 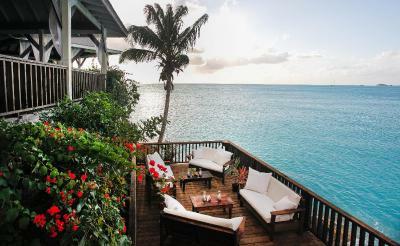 The Caribbean-style cottages with wooden floors offer a balcony with ocean views, ironing facilities, safety box, and a telephone. The bathrooms are private and come with hairdryer and shower. The accommodations also include hammocks, a mini-bar and a coffee and tea maker. The on-site restaurant at this hotel serves a contemporary mix of international cuisine with local influence, like seafood, spicy local cuisine and classic salads. The restaurant overlooks the sea and offers full table service and beach service. The services at the Serenity spa include facials, manicures and pedicures treatments. Cocos Hotel All Inclusive is 6.8 mi from Saint John’s Cathedral and 30 minutes’ drive from Nelson’s Dockyard and English Harbor. VC Bird International Airport is a 30-minute drive away. 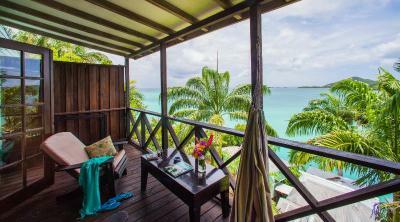 When would you like to stay at Cocos Hotel Antigua - All Inclusive - Adults Only? This Caribbean-style cottage offers 1 King-size bed, a balcony with pool views and partial sea views, ironing facilities, safety box, and a telephone. The bathroom is private and comes with hairdryer and shower. It also includes hammocks, a coffee maker and a mini-bar. It offers access to a shared swimming pool. This Caribbean-style cottage offers 1 King-size bed, partial ocean views, a balcony with ocean views, ironing facilities, safety box, and a telephone. The bathroom is private and comes with hairdryer and shower. It also includes hammocks, a coffee maker and a mini-bar. This bungalow features a balcony, air conditioning and mini-bar. 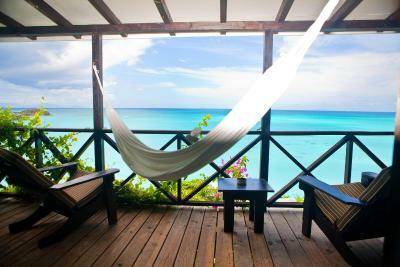 House Rules Cocos Hotel Antigua - All Inclusive - Adults Only takes special requests – add in the next step! Cocos Hotel Antigua - All Inclusive - Adults Only accepts these cards and reserves the right to temporarily hold an amount prior to arrival. Please inform Cocos Hotel Antigua - All Inclusive - Adults Only of your expected arrival time in advance. You can use the Special Requests box when booking, or contact the property directly using the contact details in your confirmation. There is a very noisy resort next door and we could hear their music and MC (e.g. getting the people in that resort doing the limbo or drinking games) very loudly in our room through to 10.30 each night - I think this only affects the rooms facing that resort as the sound travels over the water, most of the other rooms are facing into another cove so weren't so badly affected. The dirt road to the property off the main road is an absolute disgrace. Beside the mud that is created almost every day when it rains, the number and depth of potholes is frightening. I even got a flat tire because of the potholes on that road, as there are so many you can't really drive around them anymore. I would definitely recommend Cocos to invest some small amount of their high prices into that road. When exiting the dirt road onto the main road there are so many blind spots as the exit is placed uphill in a bend in the road. It is very dangerous, especially with the high speed of cars there. We had some sort of rodent living inside our cottage roof, active especially evenings and mornings, running and scratching/scuffling/munching on the wood. We complained about that to four different people, including security and reception. Everybody was understanding and said they would look into it, but nothing more than that happened. The toiletries and minibar are not always replaced/refilled on a daily basis, and sometimes we had to ask staff for toilet paper and shampoo. The pool is absolutely tiny and hidden between some bushes, would be better to enlarge it or even add a hot tub next to it to relax after 6pm, when it is too dark to go swimming. The food, although almost always great, varies a lost in speed of service. One evening we had the entire dinner in about 30 minutes, whilst the second day we waited for 45 minutes just for the starters, and there were only 3 tables to serve. The Room, they are going for shabby sheik but it is more shabby than sheik, when we arrived only 2 of the 4 bathroom lights worked, we lost all water in the room on at least 3 days and when allegedly fixed there really wasn't much in the way of water pressure and a broken bedside lamp was not repaired or replaced after 3 days despite being requested several times and then we came home so it may still be like that?? Very limeted menu, broken AC, no refreshups on coffees, sugars etc. Lady in reception was never really there, some people were rude, bars close at 6:00pm, and crazy they expensive. Sometimes hard to deliver what whats ordered. Small things matter to this rate. You have to be fairly fit to make the climb up to some of the cottages but it wasn't a problem. The shower water tended not to be very warm at all - although we were probably later than most. Construction/expansion in progress. Messy in the meantime. We loved everything. If we want to be really picky we may say that we have missed freshly squeezed fruit juices and good espresso coffee. Perfect location, 2 different yet equally stunning beaches. Staff was super friendly and the food top restaurant cuisine. Also excellent WiFi connection everywhere in the resort. It was a quiet ambience, yet yoga and pilates classes were organised and some music evenings entertainment was available. Also great beach towels service available and canoes were at the guests disposal to tour around. The locations, the staff and the variety of food that they have everyday.